This beautifully updated 40-year-old colonial has an eat-in kitchen with new stainless steel appliances and a large family room with a fireplace. Appliances included are the dishwasher and dryer, an oven/range, a refrigerator and a microwave. The spacious formal living and dining rooms and laundry complete the first floor. Upstairs of this single-family are the master bedroom with a walk-in closet and full bath. There are also three good-sized bedrooms and a hall bath. 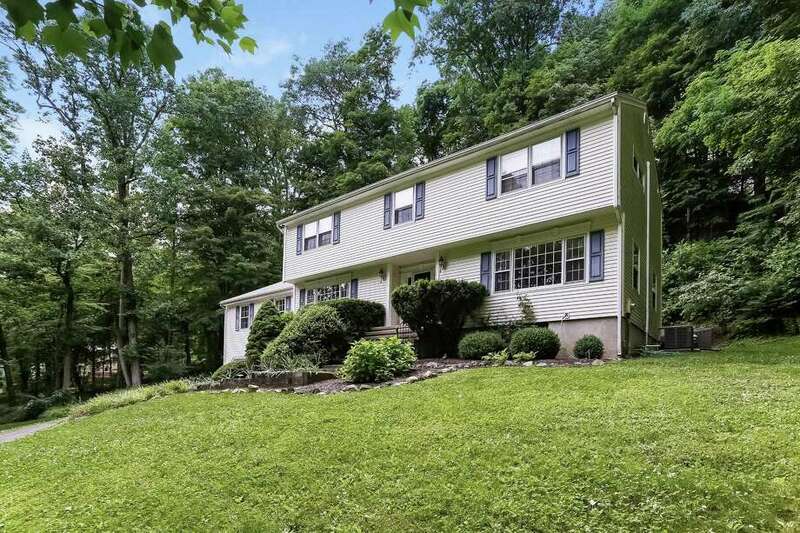 The move-in ready house boasts eight rooms and sits on 2.23 acres. It has hardwood floors, central air and lots of storage throughout. The interior of the home is light and bright and has great flow for living and entertaining. There are wonderful views of open space from the master bedroom. The exterior is vinyl siding and it has a deck and patio. The home has also pull-down stairs. It’s close to town and the library, park, shopping/mall and medical facilities.